The following article is a list of candidates who’re vying for a seat in Congress, however, some of the elections below have already passed. Please note, this is not a representation or an official endorsement of any candidate by Brown Girl Magazine. Frustrated by the lack of action and scandals plaguing the U.S. government, individuals across the political spectrum have their eyes on seats in Congress, hoping to usher in change and fresh perspectives during the upcoming midterm elections. Out of these men and women, an unprecedented number of candidates are looking to become new members of the U.S. House of Representatives and new U.S. Senators. From immigrating to America as a graduate student, Harry Arora is now a successful businessman and investor looking to reinvigorate Connecticut’s economy and lower healthcare costs. He lives in Greenwich, CT with his wife and three children and will be running against Democratic incumbent Rep. Jim Himes, who has been serving the district since 2009. The Mumbai-born inventor of the first email system and holder of four degrees from MIT, Dr. Shiva Ayyadurai is currently the CEO of CytoSolve, Inc., which is trying to discover cures for major diseases. Calling himself the “All-American Indian” and a personification of the American Dream, the biomedical engineer is proposing that the U.S. Postal Service provide a truly secure public email system to protect citizens’ privacy. 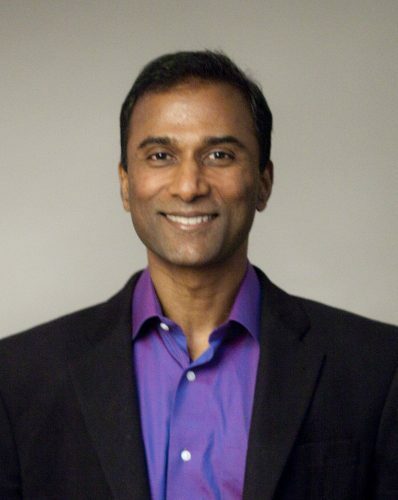 Ayyadurai has been in the news for repeatedly questioning Senator Elizabeth Warren’s Native American heritage. Abhijeet Das is one of thirteen(!) candidates looking to replace retiring Democratic incumbent Niki Tsonga. 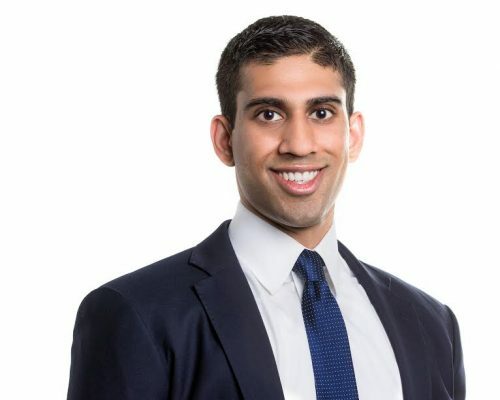 He is a graduate of the University of Michigan Law School and the first Indian-American running for Congress from Massachusetts. Das intends on changing Washington D.C.’s “toxic” culture by passing universal healthcare, fixing the VA, and creating comprehensive immigration reform. 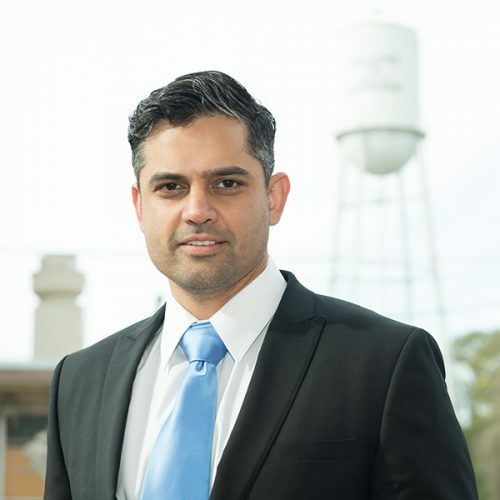 Desai faces three-time Republican incumbent Rep. Rick Crawford. 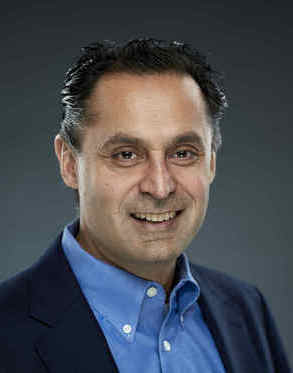 “JD” Diganvker is the embodiment of the American dream: after immigrating to the United States in 1995 and working at a retail store, he and his wife tragically lost his two daughters in a house fire, became an American citizen in 2003, and now runs his own credit card processing firm. 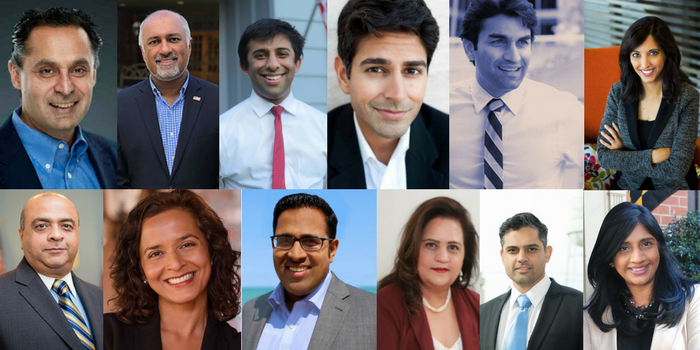 If he wins the Republican primary, he will challenge incumbent Rep. Raja Krishnamoorthi in the first ever Indian-American vs. Indian-American general election. Diganvker hopes to fight government over-regulation and rising healthcare costs as a Congressman. 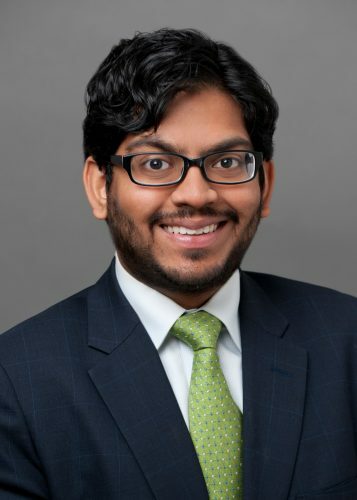 Brother of famed physician Dr. Sanjay Gupta, Suneel has had much success of his own as a law school and MBA graduate, product developer at Groupon, and colleague of former First Lady Michelle Obama. Gupta is looking to replace retiring Republican incumbent Rep. Dave Trott on a platform of “better jobs, better wages and better skills” for his car manufacturing community. He lives in Birmingham, MI with his wife and two daughters. Read more about Gupta in our exclusive interview here. 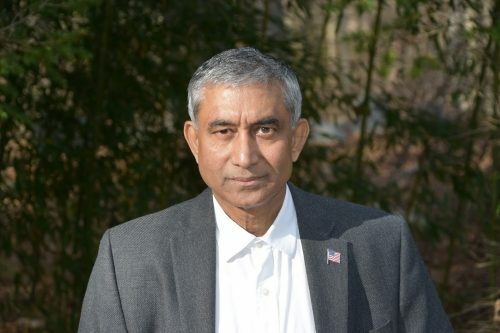 Peter Jacob ran unopposed against incumbent Rep. Lance in the 2016 election for the 7th Congressional District and lost by 11 points, but he is looking to beat the Congressman once again while facing competition from fellow desi Goutam Jois. A strong believer in fair campaigns, he does not take corporate PAC money. Jacob’s professional experience includes working as a licensed social worker and developing and maintaining a homeless shelter. He received his bachelor’s degree in sociology from Kean University and his master’s degree in social work from Washington University in St. Louis. 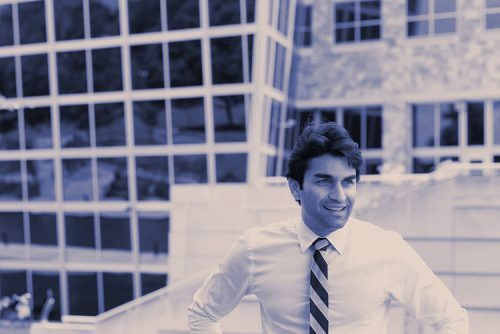 With an undergraduate degree in Government and a Master of Public Policy degree from Georgetown and a law degree from Harvard, New Jersey-born Goutam Jois is more than qualified to be one of America’s newest public servants in Congress. Jois’ campaign focuses on his legal experience related to police brutality, LGBTQ rights, and First Amendment free speech issues. The Democratic June primary for New Jersey’s 7th Congressional District will decide which Democrat will take on Republican incumbent Rep. Leonard Lance. Indian-American Yatish Joshi is “The Change that Indiana’s Second District Needs.” An entrepreneur, Joshi founded the company “GTA Containers” in South Bend, Indiana over 29 years ago and prides himself on currently employing 53 Hoosiers. This husband and father are running on a platform of giving “hard-working Hoosiers a raise,” providing affordable healthcare to Americans, supporting “strong family values,” and helping “create a more just and inclusive world.” An open primary election is on May 8, 2018. 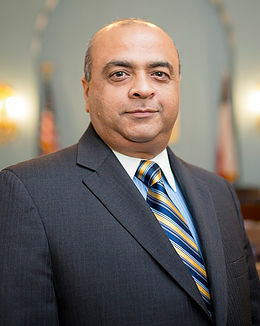 A self-designated “Leftist Progressive” and graduate of St. Edward’s University, engineer Ali Khorasani first got involved in politics in 2013 when he volunteered to offer testimony against SB4, Texas’ anti-immigration law. He is passionate about reproductive rights and women’s rights and interreligious dialogue (he was a part of President Obama’s Interfaith Challenge!). Khorasani along with fellow candidate Silky Malik lost the Democratic primary in March, but had he been elected to Congress, he would’ve been younger than any incumbent Congressperson. 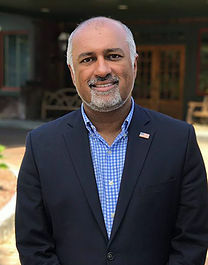 Sri Preston Kulkarni may be one of the most accomplished and experienced candidates on our list: in addition to speaking six languages and receiving an MPA from Harvard, this man was commissioned as a Foreign Service Officer by former Secretary of State Colin Powell and has served as foreign policy advisor to Senator Kirsten Gillibrand. Kulkarni hopes to use his diplomatic skills back in Texas to create unity and respect amongst communities. Born in New York City, raised in Houston, and currently living in Las Vegas, Bobby Mahendra is a Democrat pledging to create 15,000,000 new jobs in 6 years and a 10-year path to citizenship for undocumented immigrants if he is elected Senator. 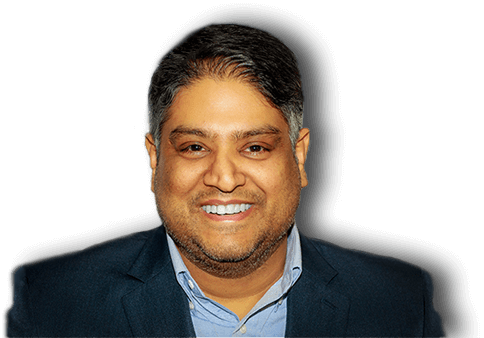 Mahendra is a Certified Public Accountant and will compete in the primary election in May. He also ran for the Senate in 2016 but lost to Catherine Cortez Masto in the Democratic primary. “Listen first. Then lead” is Kansas City-born Malik’s motto. 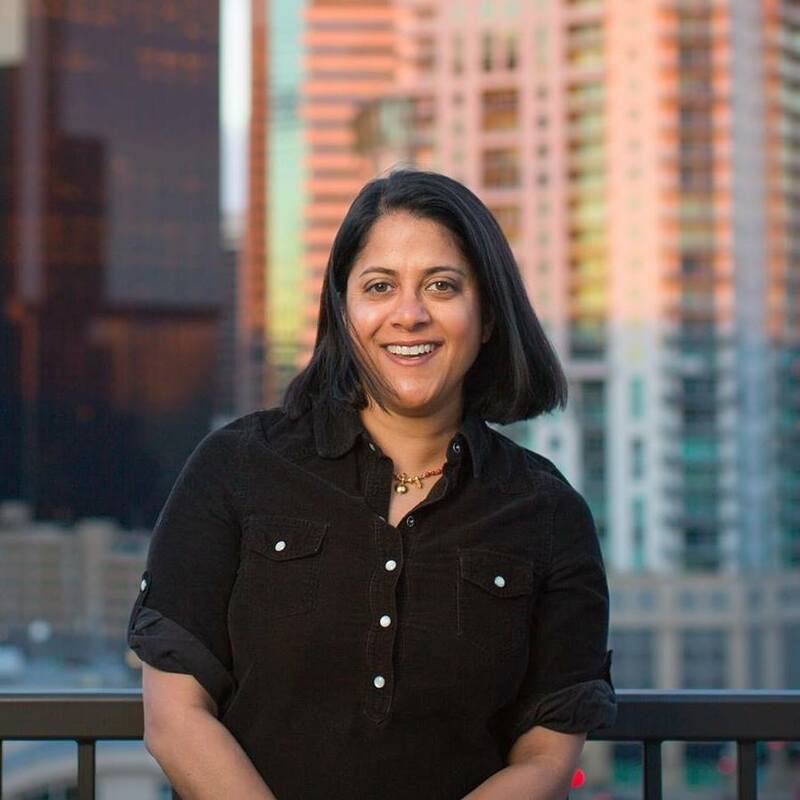 Her more recent projects include BrideRush, an online booking tool for event planning; ListenforHer, resources to help women at work; and process consulting for local startups and government agencies. 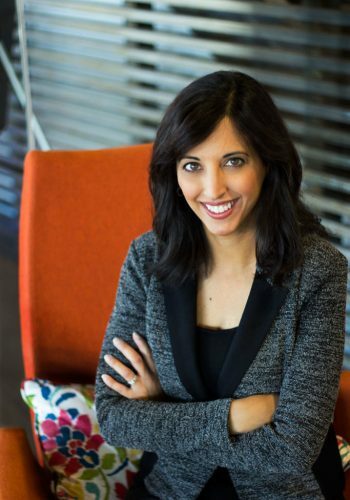 As a Congresswoman, Anita Malik intends to pass legislation to support affordable childcare, equal pay, and wellness programs. 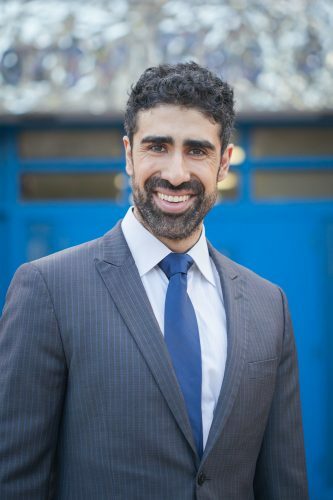 Dean Malik is the face of diversity and the American dream: a lawyer who served two overseas tours in the Marine Corps, he was raised Jewish by a Jewish mother from the Bronx and a Muslim father from Pakistan. 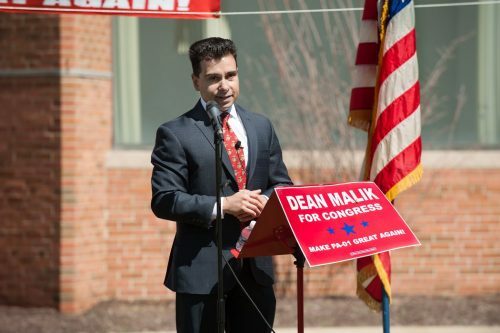 Malik is currently a Major in the United States Marine Corps Reserve and was formerly an Assistant District Attorney at the Bucks County District Attorney’s Office in PA. Malik lives in PA with his wife and four children and will be running against Republican incumbent Rep. Fitzpatrick in the closed primary in May. 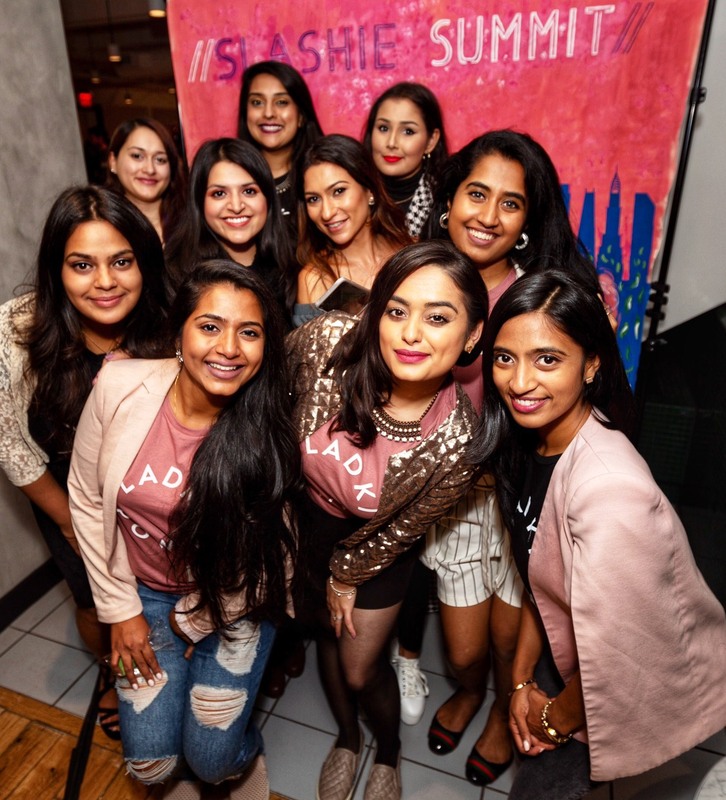 The daughter of working-class Indian immigrants, Silky Malik has worked in cancer research and overseas as a primary school substitute teacher and for Malaysia’s largest charitable women’s organizations. Running to be “the people’s representative” in her native Texas, Malik focused her campaign on immigration reform, universal healthcare, and Congressional transparency. Up against four other Democratic candidates for the House of Representatives including fellow South Asian-American Ali Khorasani, Malik, unfortunately, lost the open primary on March 6. 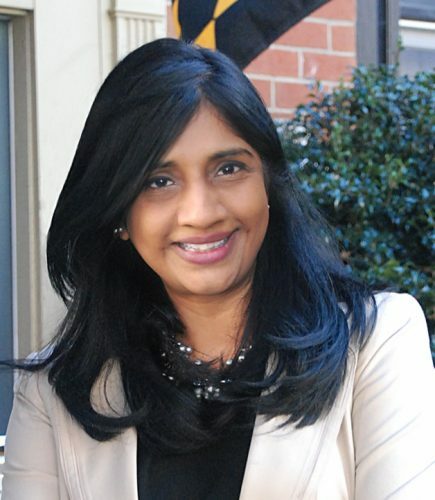 One of the first South Asians to formally file for candidacy last year, Aruna Miller immigrated to the United States when she was seven years old and currently serves as the first Indian-American woman in the Maryland House of Delegates. A civil engineer, wife, and mother of three daughters, Miller is campaigning for better jobs, education, and infrastructure. Radhakrishna Mohan is a civil servant for the State of New York, having worked in the IT Department for nearly three decades. A resident of Staten Island, Mohan has been involved in the community as a member of the Police Precinct Community Council, Community Emergency Response Team, and the Staten Island Hindu Temple Board. This First Responder will face fellow Indian-American Omar Vaid (featured below) in the Democratic primary in June. 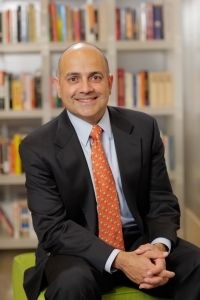 A first-generation American, Chetan Panda is the son of an educator and businessman and went to Georgetown University, where he majored in International Economics. While he did not win the Democratic nomination after an open primary was held in March, Panda’s campaign focused on three main issues: 1. Delivering affordable healthcare to every American; 2. Investing in infrastructure, clean energy, and education; and 3. Breaking down socioeconomic barriers. 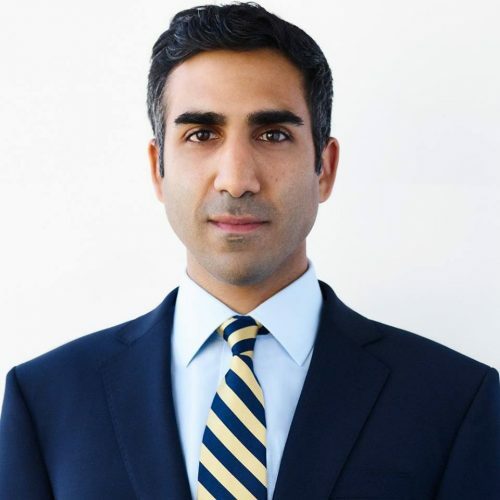 Suraj Patel is a first-generation immigrant, entrepreneur, lawyer, lecturer at NYU Stern, and former member of the Obama White House Advance Team. He will be up against fellow Democrat and incumbent Rep. Carolyn Maloney in one of the richest districts in the country. Some of the issues in his platform include the legalization of marijuana and digital voting. 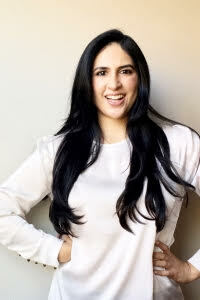 A lawyer by training and daughter of Indian immigrants, Saira Rao is a co-founder and Creative Director of In This Together Media, a book packaging company of children’s fiction with greater diversity in terms of gender, race, sexual orientation and experience. She is the author of “Chambermaid” (Grove Press) and “The Madlands” (forthcoming). The fate of Rao’s campaign lies in the results of the primary, which will be on June 26. 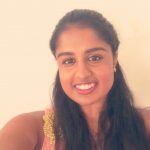 An educator and tech entrepreneur, Deep Sran founded Ashburn-based Loudoun School for the Gifted in 2008 and the education company Actively Learn after working as a corporate attorney. Sran said watching the 2016 elections, the presidential and the 10th Congressional District, prompted him to run, but he, unfortunately, dropped out of the race in March. Sran lives in Ashburn, VA with his wife and two daughters. 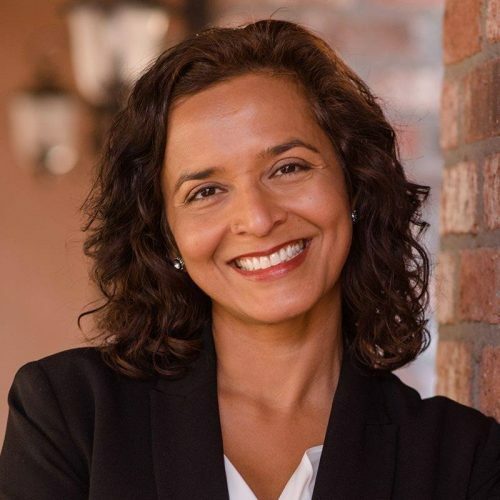 Hiral Tipirneni, an emergency room physician, is partaking in a special election after incumbent Rep. Trent Franks resigned in December. 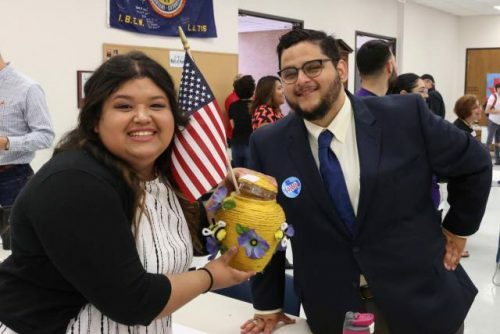 She immigrated to America with her parents when she was three years old and currently lives in the Phoenix area with her husband and three children. “I believe in solving problems and improving lives, which is all about people, not partisanship. That’s what I did in the emergency room, and I’m running for Congress to do the same,” she said. Tipirneni defeated Brianna Westbrook in the Democratic primary for Arizona’s 8th Congressional District in February. She will face Republican Debbie Lesko in a special election to be held on April 24. 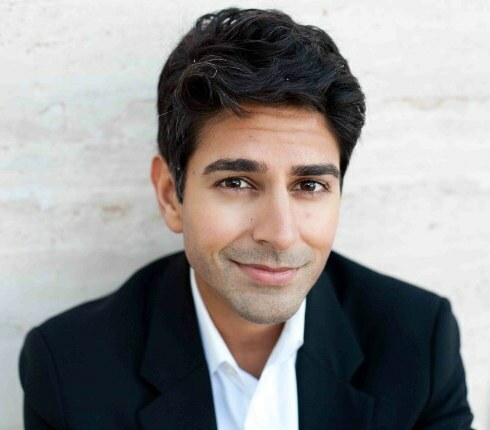 Omar Vaid is the son of two Gujarati immigrant parents and grew up in Illinois and Florida. He attended UCF where he earned a degree in Business Management, and currently works in the entertainment industry (he works on the sets of “Luke Cage” and “The Get Down”). 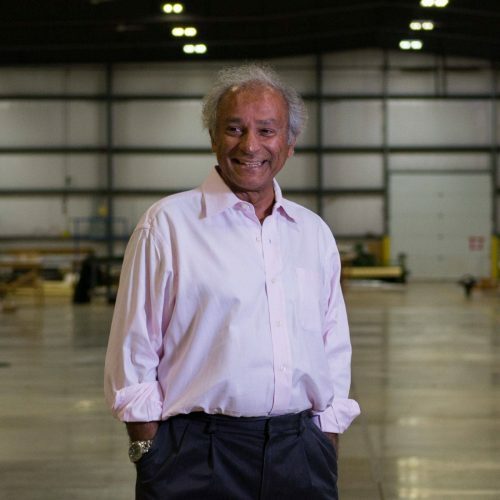 Vaid believes that “Made in America” is a key to the perseverance of the American Dream. He will be up against Radhakrishna Mohan, among other candidates, in the Democratic primary. 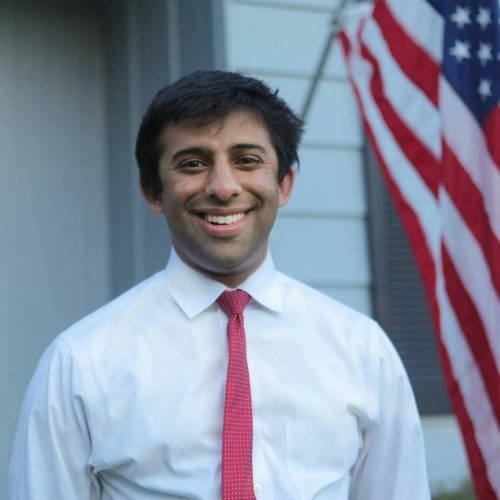 As a Senator, Maryland-native Vohra hopes to “ downsize, defund, and eliminate damaging federal government programs.” A closed primary election will take place on June 26, 2018.